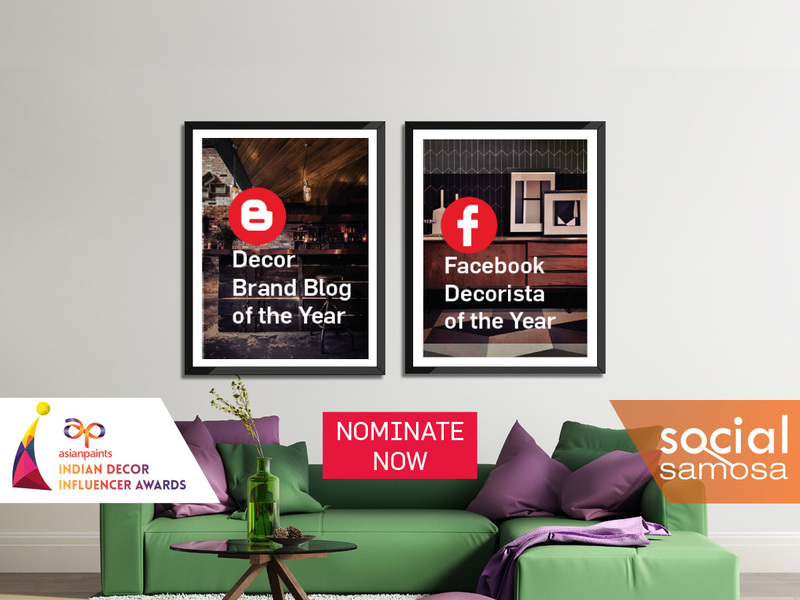 If you haven’t registered for Asian Paints Indian Decor Influencer Awards (IDIA) yet, you’re missing out on a lot! It’s a shout out to influencers in the home and interior decor space – this is your time to shine! IDIA is an attempt to set industry dynamics straight by recognising influencers’ efforts and talents in the decor space. The initiative is not limited to individuals; if you’re a decor brand that boasts of great content with a vast reach – we have something for you too. Take a look at these categories. There’s a lot in store for each one out there. When knowledge is applied to content marketing and social initiatives best influencers are born! A good engagement score with great decor content and passion for social is what we’re looking for. If this is something that your brand’s blog holds, this category is meant for you! Facebook did not only give us socialising options, but also wings that helped us pursue our passion with persistence and determination. If you have managed to explore and exploit Facebook to make the best out of your love for decor – we would love to have you on board. Over the years, Facebook has become one of the toughest nuts to crack, mainly due to paid advertising formats. In spite of this, if you command a great reach with substantial content – pat your shoulders and nominate yourself. IDIA has 10 categories in all. Explore all of them to see which fits the best for your talent and vigour.